Convert Hulu Videos to AVI, 3GP, MPG, MP4 for iPad, iPod, iPhone, Tablet PCs! Hulu is an awesome site for watching TV shows and movies online for free. Are you a big fan of Hulu videos? 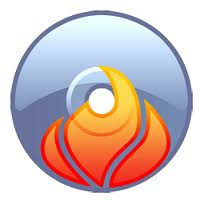 Do you want to save the fantastic videos on your iPod, iPhone, iPad, Samsung Galaxy Tab, HTC Sensation, etc? Do you want to know how to convert Hulu videos to your desired file formats? Any Video Converter would be your best choice. Any Video Converter is an easy-to-use and high efficient Hulu video converter. It helps you to achieve excellent conversion from Hulu video formats to various video and audio formats, such as 3GP, AVI, WMV, MP4, AAC, WMA, WAV, MP3, etc. which are supported by many Tablet PCs, mobile phone and many other PMPs like iPad, iPhone, Samsung Galaxy Tab, HTC Sensation, HTC Evo 3D, Nokia, Blackberry, etc. 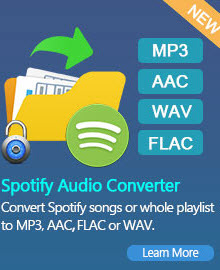 With Any Video Converter, it’s easy to convert Hulu videos to AVI, MP4, WMV, MP3, etc. Please follow steps below to learn how to convert Hulu videos with Any Video Converter. How to convert Hulu videos with Any Video Converter? Step 1: Please click here to download and install the Hulu Video Downloader. Step 2: Run the Hulu Video Downloader. Once you navigate to your desired program in your browser of choice, highlight and copy (Ctrl+C) the page’s URL. If it’s from a supported site, it will appear in top field automatically. Step 3: Once the download’s complete, you simply find the downloaded video files. Step1: Download, install and launch Any Video Converter. Simply click Add Video button to import the downloaded Hulu video files from your hard drive. Batch video conversion and merging videos are supported. Step 2: Choose output profile. In the profile drop-down list, you can choose "Apple iPod Video MPEG-4 Movie (*.mp4)" for your iPod, "Apple iPhone MPEG-4 Movie (*.mp4)" for your iPhone,"Google Android MPEG-4 Movie (*.mp4)" for your Android Tablet Pcs and mobile phones. For better enjoying videos on your portable media devices, you can choose other output formats and customize video and audio options, such as Video Codec, Video Bitrate, Audio Codec, Audio Bitrate, Audio Channel, Disable Audio, etc. Step 3: Click Convert button to start converting videos for iPod, iPhone, Tablet PCs, etc. Once the conversion is finished, you can click "Output Folder" button to get the converted Hulu video files. Then connect your iPod or iPhone with computer, import output videos into it and have fun! Any Video Converter cannot only convert Hulu Video to MP4, but also convert between many other video formats, such as avi, wmv, mp4, mts, flv, asf, etc. Do you want to learn how to convert Hulu video and burn it to CD/DVD/Blu-ray disc with DVD Menu? Hulu Video Converter also provides you another characteristic: burn videos to CD/DVD/Blu-ray disc with DVD Menu and create ISO/DVD Folder. This DVD burner could burn your favorite video clip or Hulu downloaded video to DVD so that you can play it on home DVD player sharing with your friends and family members. You may also need to rip DVD for your iPod, iPhone, Tablet PCs, etc, you can update Any Video Converter to Any DVD Converter Pro. 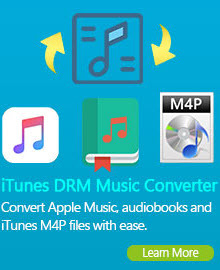 With Any DVD Converter Pro, you can easily rip DVD to MP4 video formats compatible with your iPod, iPhone, Tablet PCs, etc. Any DVD Converter Pro works perfectly as it's Any Video Converter Pro plus a DVD ripper. With Any DVD Converter, you have the ability to select DVD titles, chapters or segments for the ripping, instead of converting an entire movie into one huge file; copy protected DVD movies; take snapshot from playing video or DVD movie and save as PNG picture format; extract audio from DVD movies and save as MP3, AAC, WMA, M4A, WAVE or OGG audio files for your mp3 players and mobile phones. Download Any DVD Converter Pro to have a try! Hulu Video Converter software provides an easy way to combine and join multiple videos together. Just select the videos you want to join and check the “merge output” you can finish it easily. You can merge several video clips into a single video, so that you can enjoy a long video. You can trim the length of any videos to get the video or audio clips you want. The Hulu Video Converter also allows you to crop video to adjust the suitable size of displaying screen. You may also personalize the video by tuning the video brightness, contrast, saturation or adding some effects like "Mirror Image " or "Flip Vertical", etc. If you have a lot of videos to be converted, but you do not want to waste time to convert them one by one. The Hulu Video Converter supports batch conversion. It is very easy to use. With just a few clicks, you can finish all what you want efficiently.